Savvy Events and Entertainment produced a spectacular Gilligan’s Island Corporate Themed Event for Saab Support & Services on Tuesday night. 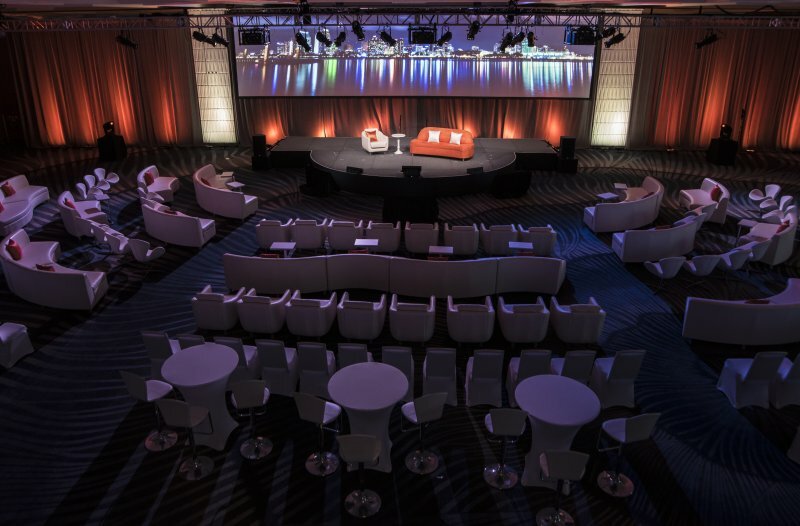 Fairwind Meetings & Events contacted Savvy Events & Entertainment to design and provide décor & entertainment for two receptions for Saab. 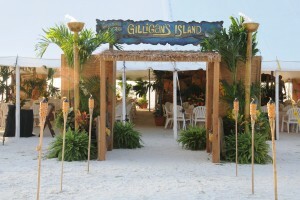 The Gilligan’s Island décor concept for the first night’s reception was created for guests to have a night of casual fun. 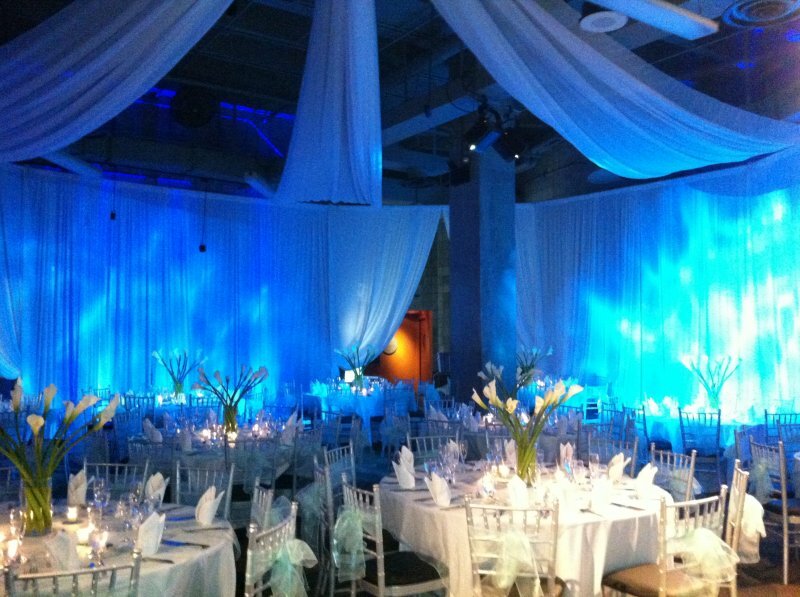 The event took place at the Sheraton Sand Key on the beach under a tent. The outside perimeter of tent was lined with Tiki Torches. 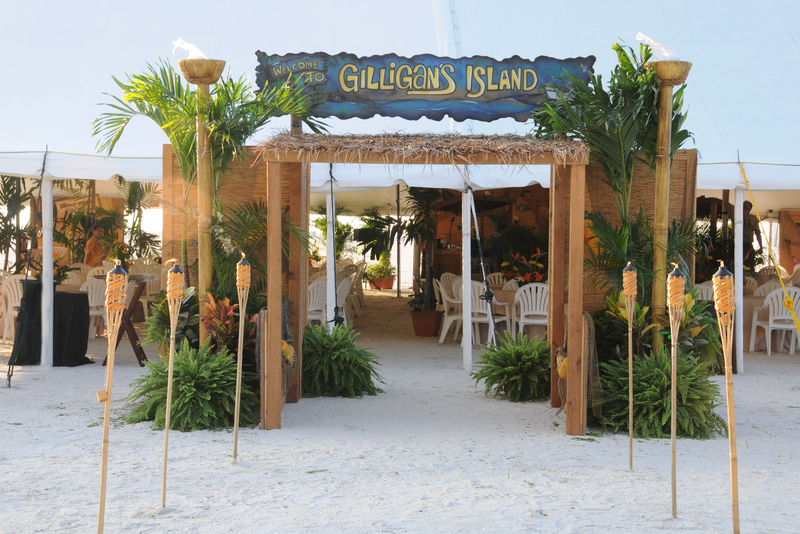 As the guests entered the event through a bamboo entranceway with an authentic thatched roof and hand painted Gilligan’s Island sign, they were greeted by Gilligan’s Island impersonators. Gilligan, the Skipper, Mary Ann and the Professor were handing out leis to the guests welcoming them to the island. 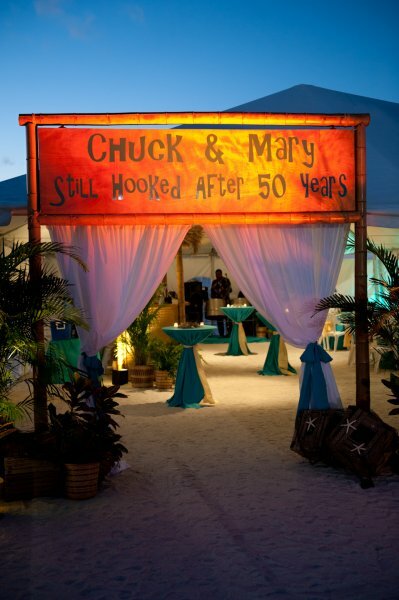 In the center of the tent, three tiki bars were dressed in tropical accents creating a center focal point of the event. Around the perimeter of the tent, guests could play the island theme games including Island hoops, coconut bowling, launch a lobster and live crab races. They enjoyed the live crab races the most trying to guess which hermit crab would reach the finish line first. Saab logo giveaways were given away as prizes at the tropical games. Live Entertainment for the night included a Jimmy Buffet Band and cigar roller. 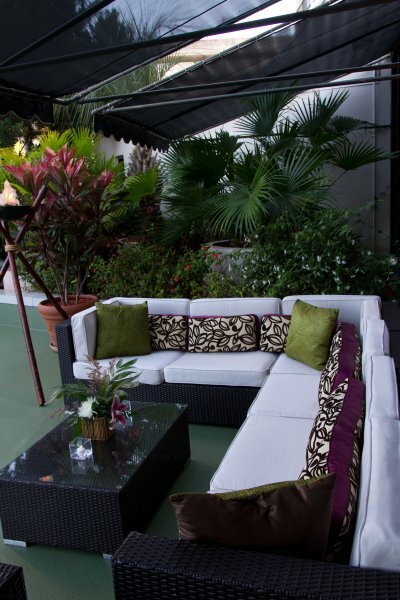 Seating for guests was a mix of hi-boys and round tables dressed in Bali overlays with a tropical centerpiece enhanced with birds of paradise in a bamboo container. Other décor in the tent included foliage groupings and up-lighting to an island feel. The client and their guests enjoyed a remarkable and memorable 3 hour tour. ‹ Welcome To Our New Website!